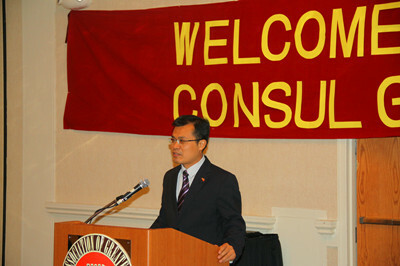 On March 3rd, Chinese Consul General to Chicago Zhao Weiping attended the welcoming luncheon hosted by the Chinese Association of Greater Detroit (CAGD). Executive of Oakland County were also present. trade, culture and education, and that the Chinese Consulate is ready to work continuously with the State of Michigan to further strengthen the bilateral relations.